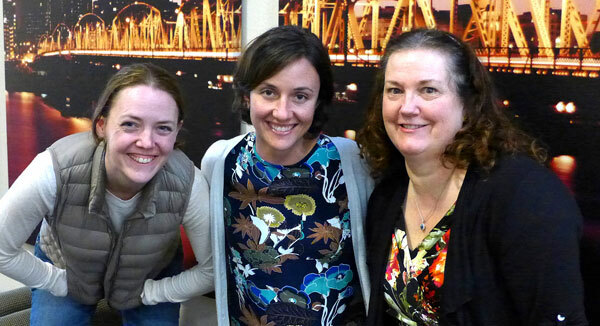 Venture Portland sat down with the leaders of the Parkrose Business Association (PBA), Angie Jenkins, Adrienne Sweetwater and Alison Stoll, to talk about what they love about the district and why they are proud to call Parkrose home. For anyone arriving in Portland via the Airport (PDX), Parkrose is their welcome mat to the city. The district, bordered by 82nd Avenue to the west, 162nd Avenue to the east, NE Marine Drive to the north and I-84 to the south, provides easy access to everything that makes Portland great. Once known as the ‘Gateway to the Columbia River Gorge’, Parkrose is home to stellar services, quality restaurants and multiple hotels including Holiday Inn Portland Airport, Best Western Pony Soldier Inn, Nordic Motel, Comfort Inn and Courtesy Inn Motel. For residents, this district is a tight-knit and diverse community known for mom and pop shops where you aren’t just a customer, you are family. Angie Jenkins is President of PBA and owner of Hookset Automotive, which offers automotive repair and maintenance services with child-friendly amenities. Alison Stoll is a long-time PBA board member and Executive Director of Central Northeast Neighbors, a community-based non-profit coalition of 8 Portland neighborhoods. Adrienne Sweetwater is Parkrose’s District Organizer, the organization’s sole part-time staff member who manages district events and meetings, promotes the area, supports PBA members and the board or directors. What is your favorite thing about Parkrose? Angie: I like that it’s a district in transition. As the new PBA President, I’m really excited about all the new businesses coming in. Plus, I don’t have to drive to other districts to get everything I need! There are so many businesses in the district that I’m unfamiliar with and I am looking forward to discovering all they have to offer. Alison: I love all the family-owned small businesses. You can get everything you need in Parkrose – from nuts and bolts at Parkrose Hardware to getting your ant problem taken care of at Northwest Pest Control. Cars are especially well taken care of – you can get your company vehicle wrapped at Signs Now or get your car fixed at Hookset Automotive. Adrienne: I love the strong community feel. Parkrose used to be home to many Italian immigrant families and there’s still that sense of community. People show up to things. I was amazed that 700 people attended our first-time ‘Trunk or Treat’ Halloween event even though the city received record rainfall that day. Other family-owned businesses in the district include Baskets and Bouquets by Sharon, which creates flower arrangements, gift baskets and other unique services including singing telegrams; Brown’s Parkrose Tire Factory which has been offering automotive services and tires since 1978 and Rex Heating and Air Conditioning which has been keeping Parkrose residents comfortable since 1970. How has Parkrose’s identity changed over time? Alison: Parkrose used to be considered ‘out in the country’. It was all farmland and a few businesses but as the airport and the Port of Portland grew, hotels and motels opened and we started seeing a lot more visitors. Today there’s much more to Parkrose with new businesses moving in every day. Adrienne: Now there’s a lot of online retail. Jostens, which makes class rings, yearbooks and other graduation products, is located in Parkrose. There’s also a lot of industrial and manufacturing businesses like Heritage Specialty Foods which makes huge quantities of soup for restaurants in Portland. 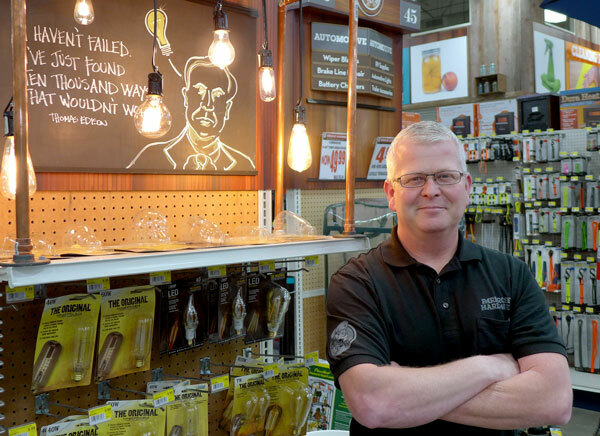 Then there’s retailers like Evergreen Garden Supply which carries everything needed for indoor and hydroponic gardening. 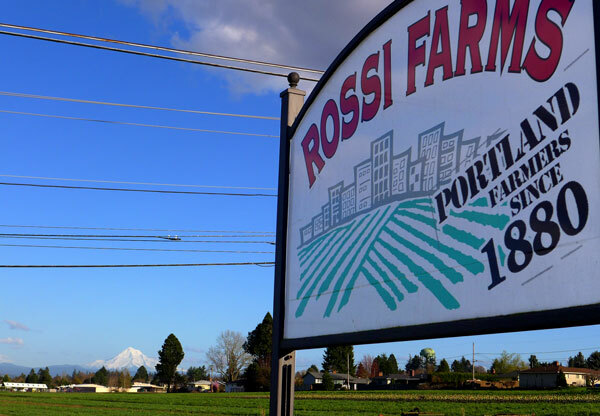 The district is still a community of hard-working makers with businesses such as Rossi Farms, which has been growing high quality produce since 1880 and even features kid-sized versions of some of Parkrose’s most famous businesses; Danner Boots, which has handcrafted boots since 1932 and created a custom boot that was featured in the 2014 movie ‘Wild’ and Leatherman, which has manufactured its world-famous multi-tool since 1983. In which ways has Parkrose stayed the same? Alison: It used to be that Parkrose was only known for Parkrose High School and PBA still supports the High School through our scholarship program. If you go to any sporting event at the school, you’ll see other Parkrose business owners supporting the team even though they may not have children in the school. 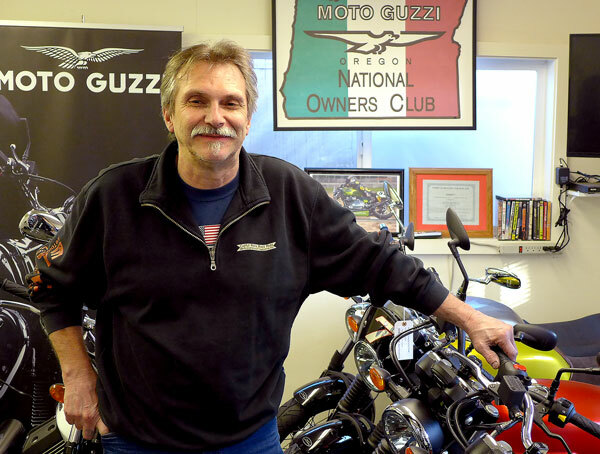 A lot of the families that were in the district 20 years ago are still here and now it’s the second or third generation running the family business. Parkrose is one of the few business districts in Portland with its own school district. Parkrose School District originated in 1885 as a one-room schoolhouse and has slowly grown to more than 3,700 students. Since 1998, PBA has awarded Parkrose High School students more than $70,000 in scholarships. Many scholarship recipients go on to major in Business and return to the district as new leaders in the community. More than 50 languages are spoken in the Parkrose School District. What’s the best thing about being such a multi-cultural district? Alison: Because of my work with Central Northeast Neighbors, I have a lot of opportunities to work and build partnerships with different community organizations. One of the things I love is learning about someone else’s culture. Growing up, everyone in my school looked exactly the same so now it’s so wonderful to have the opportunity to interact with people who are a little bit different than me. It’s a learning experience but at the end of the day we all have similar values and needs. I love to go out and eat at different kinds of restaurants and try new dishes. When PBA does scholarship interviews, more than 50% of the students we interview are first generation immigrants that are the first in their families to go to college. Angie: The Parkrose community is very welcoming. Everyone is invited to attend PBA’s monthly luncheons to share ideas about how we can continue to make the district a wonderful place. Adrienne: IRCO is also in the district. They are a cultural hub for immigrant refugees. It’s great to discover the different immigrant owned businesses in the district. There’s a lot of Russian-owned businesses, plus the Northwest Tibetan Cultural Association is right over on NE 122nd Ave. As District Organizer I’m excited to see how we can be even more welcoming to those businesses because they see Parkrose in a different way and we can really benefit from their unique viewpoints. The Portland Immigrant Statue , by local sculptor James Gion, honors the district’s multi-cultural roots and welcomes visitors to the district at the corner of NE 99th and Sandy Blvd. The statue’s location is significant as Immigrants traveled down NE Sandy Boulevard in the early 1900’s looking for work on farms, which were primarily owned by immigrant farmers. 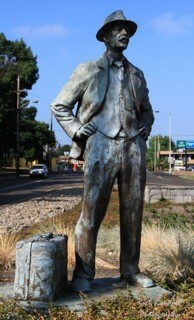 PBA provided seed funding for the statue, which was dedicated in 2011 during Parkrose’s 100th anniversary celebration. Today, Parkrose remains ethnically diverse with 40% of its residents identifying as people of color. What would be your perfect day of food in Parkrose? Alison: I would go to Elmer’s for Breakfast. I love their German pancakes with berries. 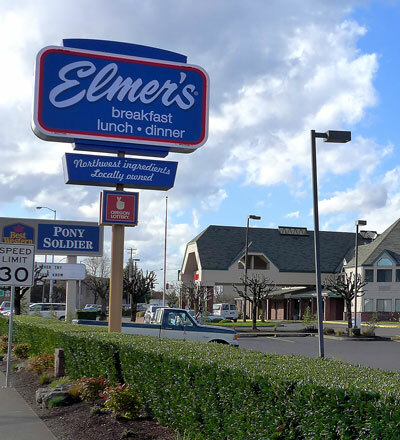 The good thing about Elmer’s is that it’s very welcoming, very accessible and family friendly. We constantly run into other business owners when we eat there. For lunch I would go to Yuki and Song. Their teriyaki is great and the owner is a master sushi chef. For dinner, I would get the fish and chips from Burgerville and a chocolate hazelnut milk shake, they use real ice cream! Angie: I’m all over Jimmy John’s for lunch. I love their turkey avocado sandwich. At the shop I don’t like to cook so it’s always a good option for sandwiches. For dinner, El Sombrero is really good. I like their Chimichangas. Adrienne: For breakfast I would go to Cameo Café. Their décor is really great. It looks like your grandma’s bed and breakfast. They’ve got giant pancakes and really good oatmeal. Alison: If you order an omelet there you might want to share it because its HUGE. And while you are waiting for your food, the owner will give you some of her strong bread made with polenta and poppy seeds. It’s a really hearty snack. Adrienne: For lunch, I would go to Pho Dalat. Nothing beats a big ol’ bowl of soup for lunch on a rainy day. For dinner, I like the Green Pizza with arugula and pistachio pesto at Bistro 23. Parkrose offers a variety of ethnic foods including Namaste Indian Cuisine, famous for their lunch and dinner buffets, Good World Chinese, which offers some of Portland’s best Dim Sum and Lanvin French Bakery, known for their Vietnamese sandwiches and baked goods. For more traditional fare, check out Jim Dandy Drive-in, one of Oregon’s oldest drive-ins offering burgers and fries since 1937. What would be the theme song for Parkrose? Alison: ‘Good Feeling’ by Flo Rida. Being in the district just gives you a good feeling! Speaking of food, Parkrose residents recently got a good feeling when Grocery Outlet announced that they would be opening the district’s first grocery store at NE 107th and Sandy Blvd in Spring 2016. Angie: Carefree Pool and Spa. The staff is super knowledgeable and friendly and they have everything you need to keep your spa running. They will even come out to your home for maintenance and repairs. Metro Office Furniture is amazing. They sell used office furniture – everything from chairs to filing cabinets and desks. Their products are great for our auto shop since we don’t really have a need for new furniture – it’s just going to get all dirty anyway. Another one I recently discovered was the Tonkin parts warehouse. It’s great that I don’t have to drive all the way out to the suburbs to get car parts. Finally, there’s Darts.com. They mainly do business online but my husband and I needed a dart for our dart board one day so we paid them a visit and they sold us one! Alison: I think Ace Academy is pretty interesting. It’s a school program that trains students for engineering and construction jobs. They’ve done some really cool things like create a scale model of the new Sellwood Bridge and build picnic tables that fold into benches. They teach kids trade jobs and help district businesses connect with potential employees. Another hidden gem is The Grotto. It’s beautiful and they often have live choral concerts. You can walk through during the day and they are really friendly. Adrienne: One last one I want to mention is Master’s Touch Music Store. They sell, rent and repair organs and keyboards and have been in the district since 1976. The Grotto opened as a shrine and sanctuary in 1924 on 62 acres of untamed wilderness formerly owned by the Union Pacific Railroad. It was designated a National Sanctuary in 1983 and its gardens and rock cave have attracted more than 10 million visitors. The Grotto’s annual Festival of Lights is the largest choral festival in the world and features 160 holiday concerts and more than 1 million holiday lights. In 2015, PBA partnered with The Grotto for Merry and Bright: Parkrose for the Holidays, a festive shopping promotion. Other hidden gems include Bread and Badger which makes unique gifts using sandblasting techniques and sells them online and out of their recently opened storefront; Moto Guzzi, an Italian Motorcycle manufacturer whose only Oregon dealership is in Parkrose; Lumberyard, which is Portland’s only indoor bike park and Hanks Boots and Workwear, which has been offering professional fitting services for men’s and women’s work boots for more than 50 years. The district is also home to the Portland Fire and Rescue Training Center which hosts fire camps where Portlanders can learn various firefighting and EMS skills. Alison, as a longtime Board Member of PBA, what is your favorite Parkrose accomplishment? Alison: I’m really proud of our ‘Shop Parkrose’ campaign. We put up banners, printed shopping bags and launched a website to raise awareness of Parkrose as a shopping destination. We’ve been able to benefit from the East Portland Pilot Project with the hard work of our District Organizer, Adrienne, and support from Commissioner Nick Fish. That collaborative partnership has been really big. 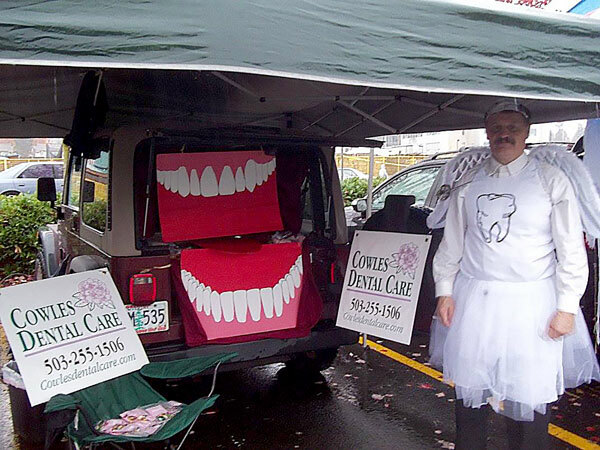 The support of Venture Portland really gave us the opportunity to accomplish those things. Angie: We are definitely starting to unite the community with the businesses, neighborhood association and the city. Within the last few months we have seen the interests and focus of these groups really align. The more collaboration we have with these groups the less strain we’re going to have on our public systems in general. You’re going to know your neighbor again and I think that will benefit the entire city. PBA has served the Parkrose community since 1985. 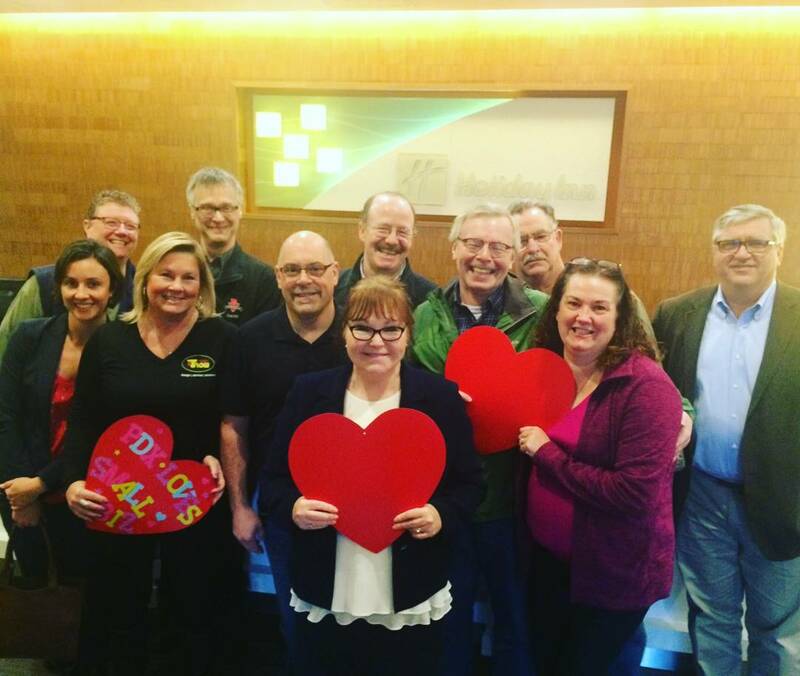 In addition to the Parkrose High School Scholarship Program, PBA markets and promotes the district with seasonal events such as ‘Trunk or Treat’ (October) and ‘Merry and Bright: Parkrose for the Holidays’ (December). The organization also hosts a monthly member luncheon with guest speakers and quarterly Business After Hours mixers. Angie, as current PBA President, what future plans for the district are you most excited about? Angie: In my newly elected role, I’m excited to continue learning about everything Parkrose has to offer. I’d like to be able to connect businesses with valuable resources. If a business is looking to hire someone or needs something like a new roof, I want to be able to help them with that. What services do businesses in the district offer that could be useful to others? We’re planning on releasing a district map that will make Parkrose businesses more visible. It would be great to put that in the airport and nearby hotels to let visitors know that they don’t have to wander very far to find everything they need. If you don’t live in the neighborhood, Parkrose is easily accessed via I-205, I-84, the MAX Red Line (Parkrose/Sumner TC MAX Station) or the 21 Bus. Visit trimet.org for more information. Bicyclists can also access the district via the I-205 multi-use path.